Micromax Canvas Knight 2 4G mobile phone online price list is available in the above table. The best lowest price of Micromax Canvas Knight 2 4G was updated on 20-April-2019 03:10:01. The Micromax Canvas Knight 2 4G is available in Flipkart,Shopclues. Micromax Canvas Knight 2 4G mobile phone with best and cheapest price in online and also available in all major cities of India Including Chennai, Bangalore, Hyderabad, Mumbai, Delhi and Pune. 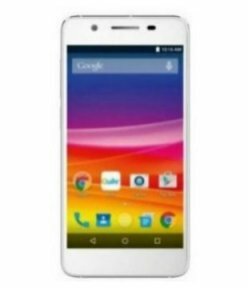 The best price of .Micromax Canvas Knight 2 4G is Rs.6299 in Flipkart, which is 26% less than the cost of Micromax Canvas Knight 2 4G Mobile Phone in Shopclues and Price Rs.7895. Buy Micromax Canvas Knight 2 4G mobile phone online in India for the best and Lowest price. You can avail some features like Cash On Delivery (COD), Credit/Debit Card Payment and EMI on purchase of this product. Best Price of Micromax Canvas Knight 2 4G is available in White,WhitewithChampagne,WhitewithSilver as Micromax Canvas Knight 2 4G Colors across various online stores in India. Micromax Canvas Knight 2 4G mobile,a Dual SIM, GSM + GSM Smartphone. Micromax Canvas Knight 2 4G runs on Android v5.0 (Lolipop). Micromax Canvas Knight 2 4G contains 5 inch with the screen resolution of HD(720 x 1280) Pixels, results in a pixel density of 294PPI. The mobile phone screen has Gorilla glass 3 protection features. Micromax Canvas Knight 2 4Ghas 13 MP and front 5 MP with Auto Focus and LED Flash.. The Micromax Canvas Knight 2 4G supports MPEG4 ,MP4,MP4 video player and AAC ,MP3 ,WAV music player. The Micromax Canvas Knight 2 4G device is powered by a Li-Poly Non Removable 2260mAh with capacity for Talk Time and StandBy Time and also available in White,WhitewithChampagne,WhitewithSilver In the above price list table you can find the best price list for Micromax Canvas Knight 2 4G Mobile Phone in India.